So what has happened since last posting: well, lots. I'm ill again but got antibiotics early so I hope I'll get to stay out of hospital. It's so stressful when you have to go for underdetermined time frames. In a rush I have to work out what wool to take, what stitching to take in and then, once that's sorted, I have to remember pjs and toiletries. It's a tough life but you are crafters. You understand right? My charity fundraiser for the Hospice is going so well. I'm deeply touched by the kindness of crafters. People have sent in items from the UK, France, America and there are lots more coming in. 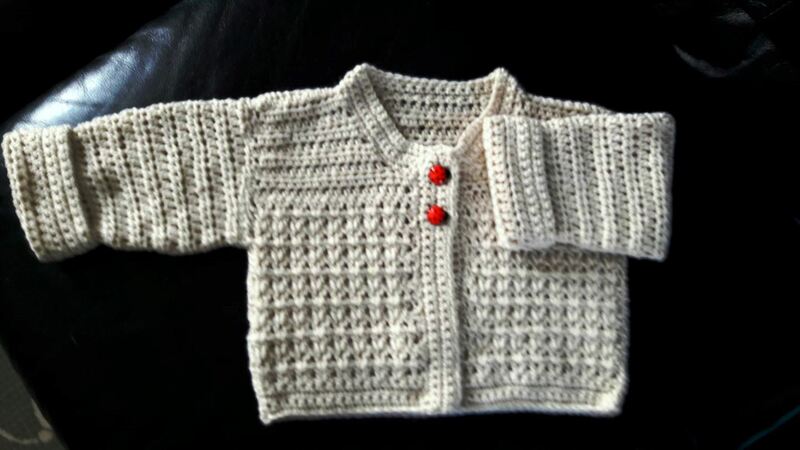 Anything hand crafted, for babies, is very, very welcome. So these are my contributions. 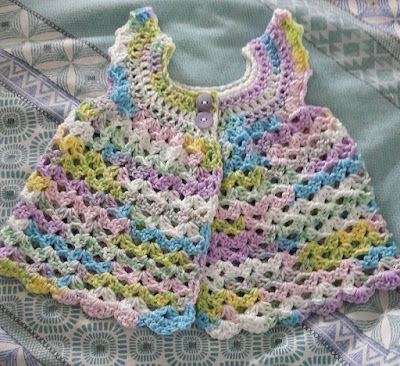 The little angel wing's top is so simple. 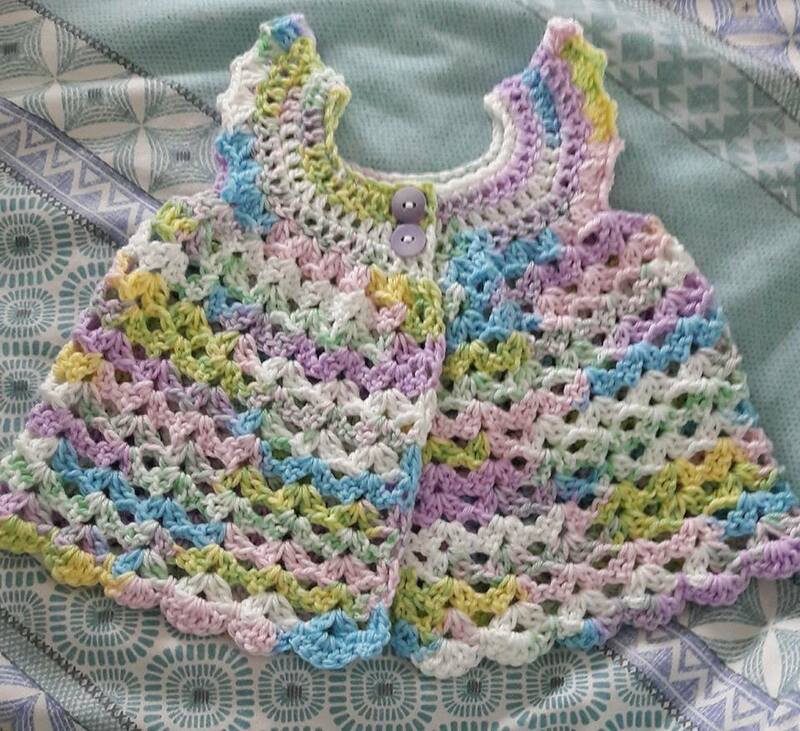 I actually finished one during my local women's group meeting. We have lots coming through the post and this is what we have collected so far. 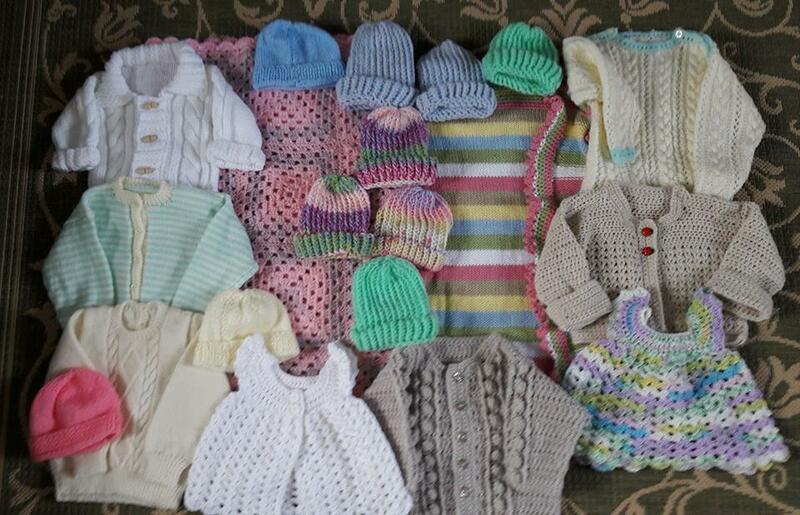 Blankets, hats, dresses, cardies, jumpers. Amazing. And I remembered to put a freebie up. I can't remember when I designed it or even where it came from...but it's yours on the free chart page. What beautiful things you are creating for the babies! 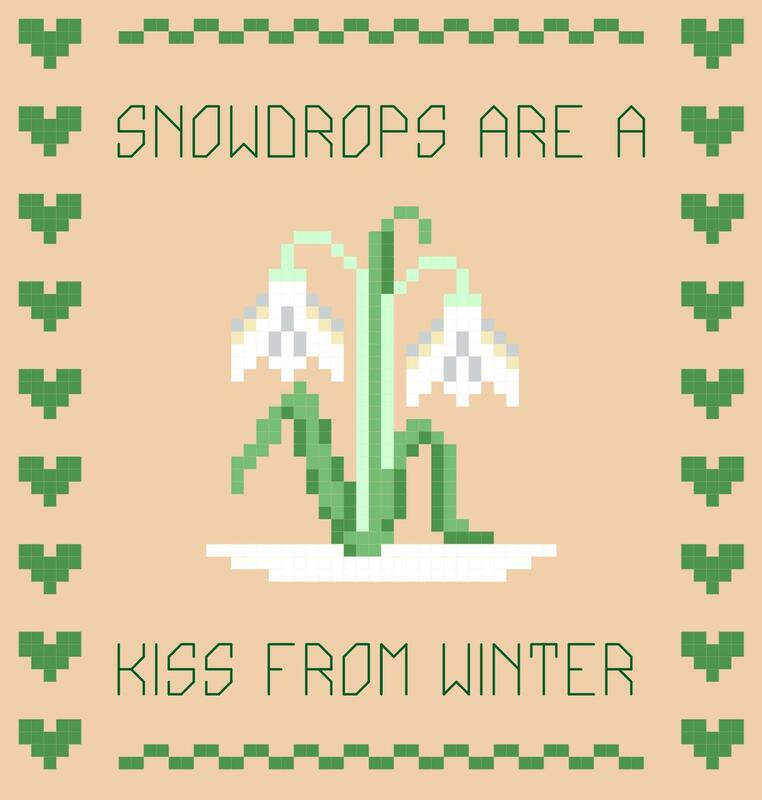 Thank you for the snowdrops design. 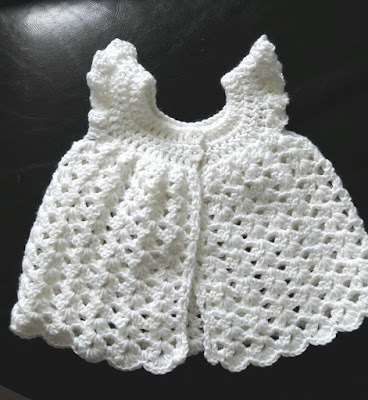 Delightful and gorgeous array of garments to. What great news for the hospice. I always pack stitching things before anything else if I'm going anywhere so I totally understand! 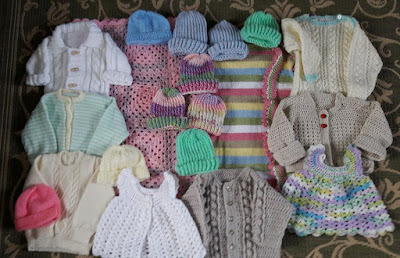 Great pictures from all the hand-made items that arrived- And think you so much for the lovely freebie. Crafters are an awesome bunch...even though packing can get complicated for us! Such a variety, they all look lovely! 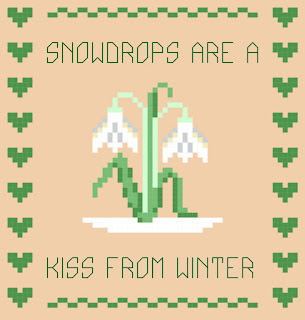 Cute snowdrops, mine are long gone and barely had any snow.